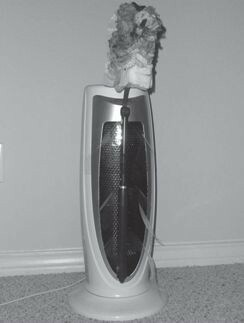 What does a gas powered clock radio (that might put you to sleep permanently with carbon monoxide poisoning), and a room air cleaner that consists of a feather duster and fly strips taped to the front of a space heater, have in common? They both are now the proud recipients of the Energy Star certification. Fortunately, these are not products that consumers will ever find on store shelves. But the scary thought is that they could have been. They were just two of 20 bogus products submitted for Energy Star seal products certification through an investigation conducted by the Government Accountability Office (GAO) that found the Energy Star program certification process vulnerable to fraud and abuse. Responding to a request by Senator Susan Collins, ranking member of the Committee on Homeland Security and Governmental Affairs, the GAO proactively tested the effectiveness of the current Energy Star product certification process to determine whether manufacturers could obtain Energy Star product certification for products not meeting Energy Star efficiency requirements. To do so, the GAO went undercover and entered the Energy Star application process under the guise of four different bogus manufacturers, offering 20 product submissions ranging from the somewhat shaky to downright outrageous. Shockingly, 15 of these pretend products won the Energy Star seal with no apparent double-checks of manufacturer claims or third-party verifications. In fact, one product was even approved and featured on the Energy Star Web site within just half an hour of the undercover application. Only two products were rejected and three others were pulled from the process by the GAO in order to conclude its investigation. The GAO report is a major disappointment for millions of consumers who depend on the Energy Star label when making product purchases. It's also a huge setback for manufactures, the vast majority of which work hard to voluntarily build products that meet Energy Star guidelines with the hope that consumers will reward their efforts though purchases that they can count on for lower energy bills. The Energy Star program was introduced by the U.S. Environmental Protection Agency (EPA) in 1992 as a voluntary labeling program designed to promote-and help consumers identify-energy-efficient products. As of 2009, over 40,000 individual product models were Energy Star-qualified by over 2,400 manufacturers. However, between the GAO's report and the many previous reports questioning Energy Star's accuracy, Energy Star's brand could be permanently damaged. It's a matter of money, too: about $300 million from the American Recovery and Reinvestment Act is slated for use in state rebate programs involving energy-efficient products, most of which must bear the Energy Star logo to qualify. Given the millions of dollars allocated to encourage use of Energy Star products, the certification program's vulnerability to fraud and abuse is a major problem. Personally, I can't be more disappointed in what this report has uncovered. I've been recommending Energy Star for many, many years and even hosted Energy Star's first-ever video podcast to help teach consumers easy ways to save energy in their homes. The fact that Energy Star has now so completely dropped the ball is an outrage that should be dealt with swiftly if the program has any chance of recovering. Representatives from the Department of Energy and Environmental Protection Agency -- the bureaucrats behind Energy Star ─ have reportedly been briefed on the GAO's findings and given a chance to get their act together. Let's hope they can. Both our wallets and energy bills depend on it. Tom Kraeutler delivers home improvement tips and ideaseach week as host of The Money Pit, a nationally syndicated home improvement radio program. He is also AOL's Home Improvement Editor and author of "My Home, My Money Pit: Your Guide to Every Home Improvement Adventure."